A high school coach in Mississippi has been arrested for reaching out to a high school student and soliciting a sexual liason with her. This is not shocking. What is particularly arresting (all puns intended) is the rather transparent method with which he reached out to the under-aged student: He sent her messages on Facebook. This may be a new low for sexual predator coaches. 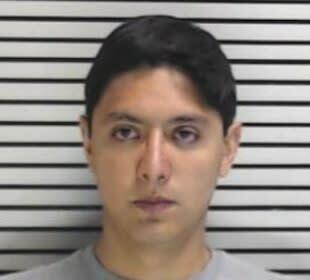 As reported by the Associated Press and Mississippi combined NBC and ABC affiliate WTVA, Lowndes County (Ms.) Caledonia High Spanish teacher and soccer coach Marco Sebastian Suarez was arrested and charged with enticement and sexual assault of a child. The news reports indicated that Suarez’s enticement of choice was direct messaging, sent via both cell phone text messages and Facebook. According to WTVA, Suarez sent messages to the female student via multiple means asking her to come to his house. When she did, the 30-year-old engaged in a sexual act with the teen, who was allegedly a student in his Spanish class. Mississippi CBS affiliate WCBI reported that the student turned Suarez in to officials herself, with officials issuing a probable cause warrant to arrest the now-former educator because of his position in the school and access to other potential victims. Suarez is being held on $100,000 bond for a trial set to come before the court in August. Sadly, Suarez’s case is hardly alone. Yet, the coach’s means of reaching out via Facebook and text message are disturbing in how brazen they were. The odds of his student victim remaining logged in to her Facebook account on a household or public computer are pretty high, as anyone with ready access to a teenager can attest. Sadly, we know that Suarez had ready access to teenagers. Incredibly, that very observable trend either never crossed Suarez’s mind, or he overlooked it for the sake of his own disturbing and illegal lust.